Are you ready for some color...lots of Kona color? I have been busy making 121 quarter square triangles. That explains why it has been so quiet here. It was well worth the work. Assembling the 121 6-1/2" QSTs went very quickly. All of the seams nested beautifully. I will start making the backing tomorrow. At first, I was planning to quilt this with straight line quilting in a light gray. But now I feel like it needs something funkier. How about all-over swirls in gold? I just love it when those seams nest perfectly like that! The saturated colours you've used are stunning - looks amazing! 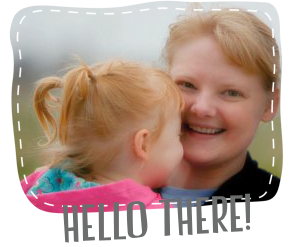 I see your pluses peeking out! Very nice! So beautiful, I love the colors and I agree gold would really make everything pop!!!! 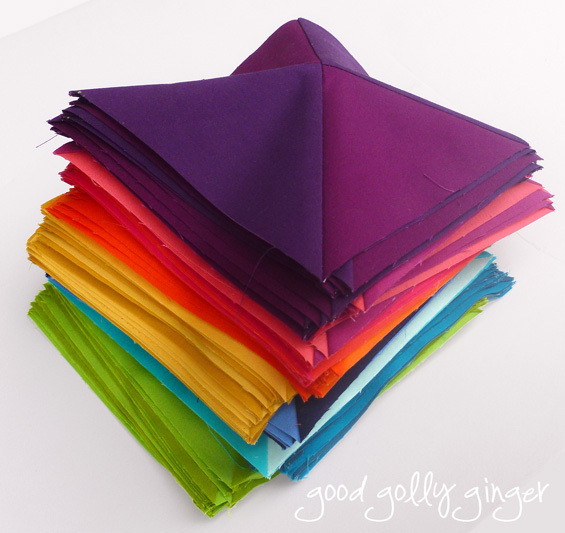 Ooh scrummy colours - would love to see you quilt this in gold! Beautiful! I love the cross pattern you used, very subtle and eye catching! This is so pretty Katie! I love the saturated colors, and the movement in the pattern. I think gold quilting would be awesome! Can't wait to see it! 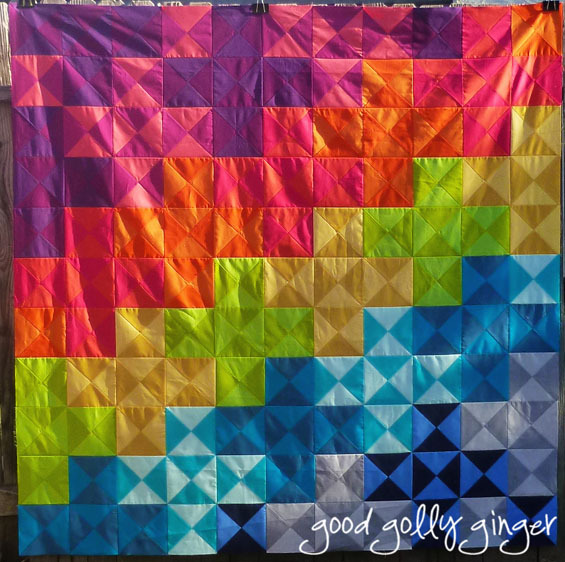 This is what I call a "happy making" quilt - you can look at it without getting a warm, happy glow - super job! Wow! That is beautiful. 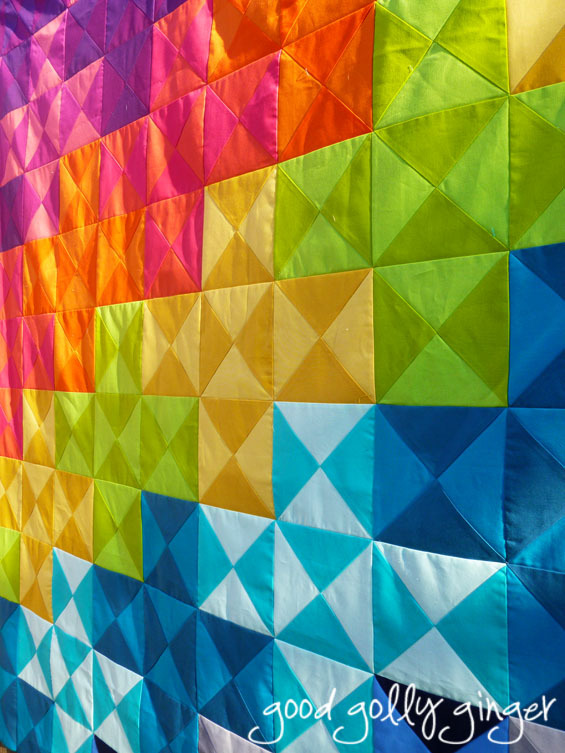 Those colours are amazing, and your piecing looks so precise. Nice work!